Beijing was the last stop so this is the last part the story. 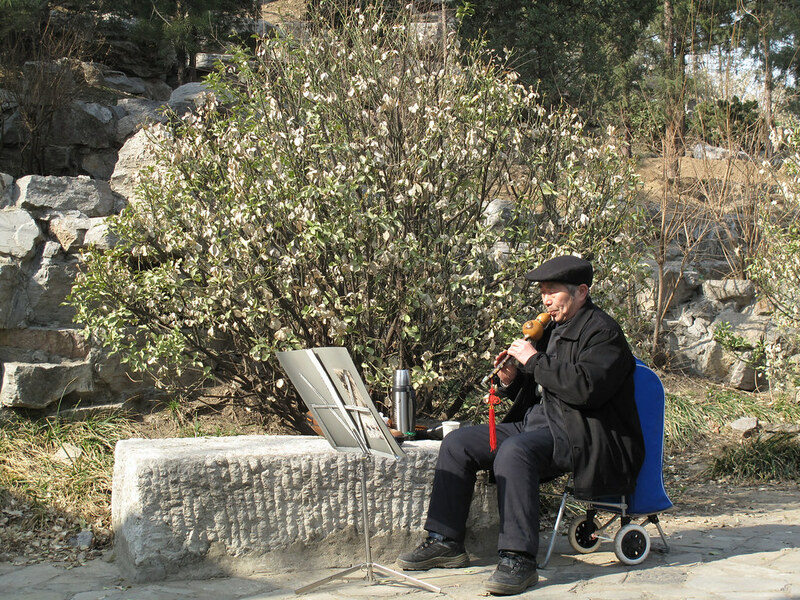 The first day in Beijing started in Jingshan Park (Coal Hill) just behind The Forbidden City. We met some of our friends from The Beijing Taiji Association led by Master Lee. 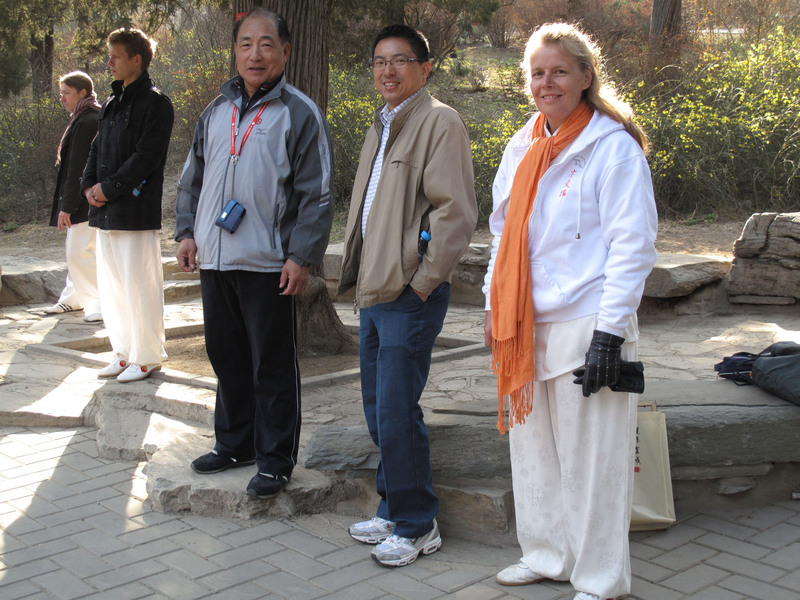 In the picture below you can see our teacher Pamela Hiley with our delegation leader Zhi and Master Lee. Zhi travelled with us from the very beginning and followed us the entire trip. He works for the Beijing People’s Association for Friendship with Foreign Countries. They helped us arrange the trip and Zhi did more than just an excellent job as our delegation leader and translator. He also became a great friend. We had the pleasure of seeing him again in Oslo this summer. He traveled with his boss Mr. Wang and the Chinese girls soccer team to participate in the annual Norway Cup soccer tournament in Oslo. We were very happy to present him with a birthday cake at Norsk Taiji Senter on his 40th birthday! 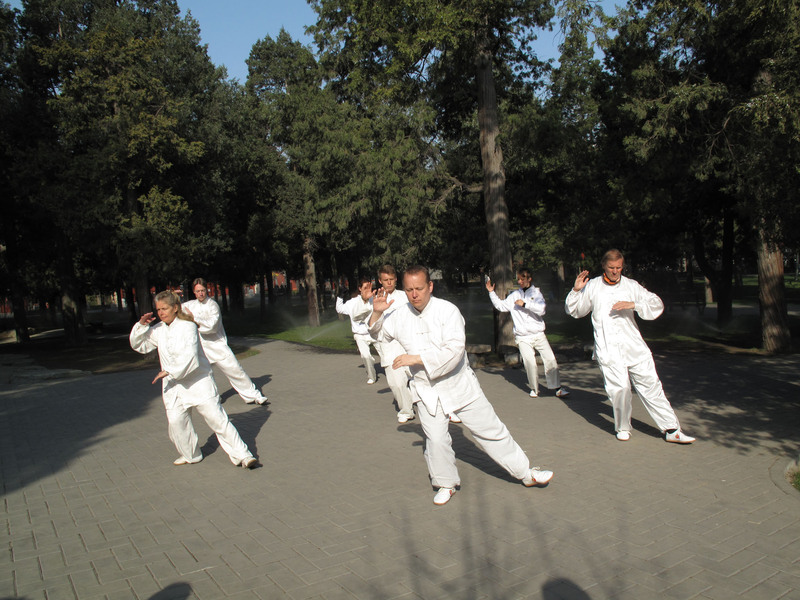 After the morning practice in Jingshan Park we went to the Beijing Daoist Association. 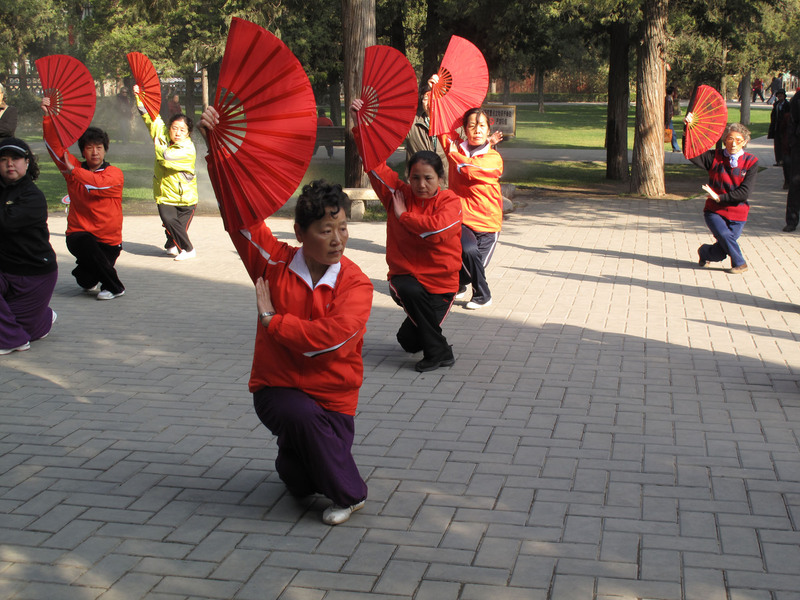 They reside in a small temple located in the Beijing business district. We were met by their senior priests and the Director of the association. The following discussion was just amazing! We told them about our travels in China, the places we had seen and our wish to study and learn more about the root of Taiji and the Daoism. They responded with great enthusiasm and it was extremely interesting to hear their reflections. Among other things, they told us much about the origin of the I Ching and Ba Gua that at least was new to me. 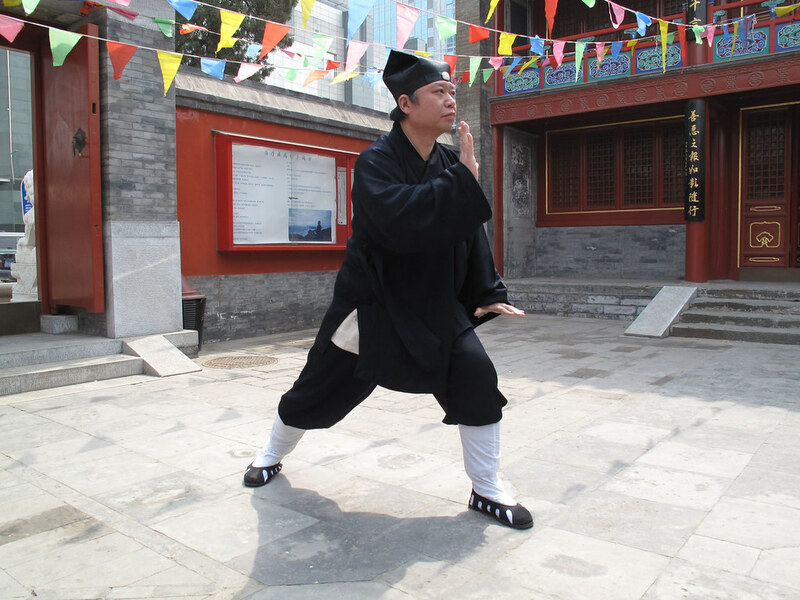 One of the monks was an expert in Wushu or martial arts and he shared some of his knowledge about the origin of Daoist Taiji with us. 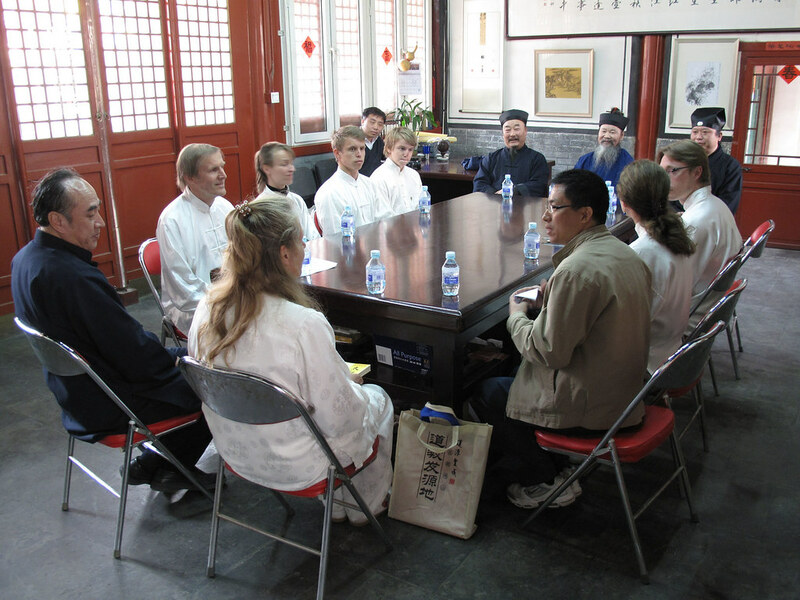 Before we left the Daoists, they treated us to lunch at a nearby restaurant. Another delicious meal in the company of great friends. I feel pretty sure that we will stay connected with our new friends at the Daoist Association. The last stop for the day was reception at the Beijing People’s Association for Friendship with Foreign Countries. 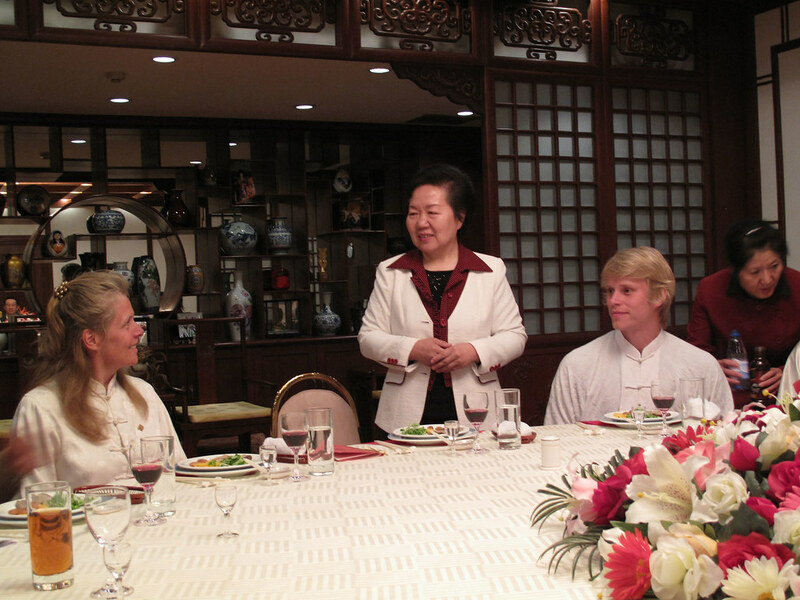 We were received by Executive Vice President, Mrs. Li Xiaoqiang and most of her management team. I believe we were treated more or less like an official delegation with a formal reception where speeches and gifts were exchanged over a nice cup of tea. After that they treated us to a magnificent dinner. It’s hard to describe the atmosphere as any different from a dinner with old friends. 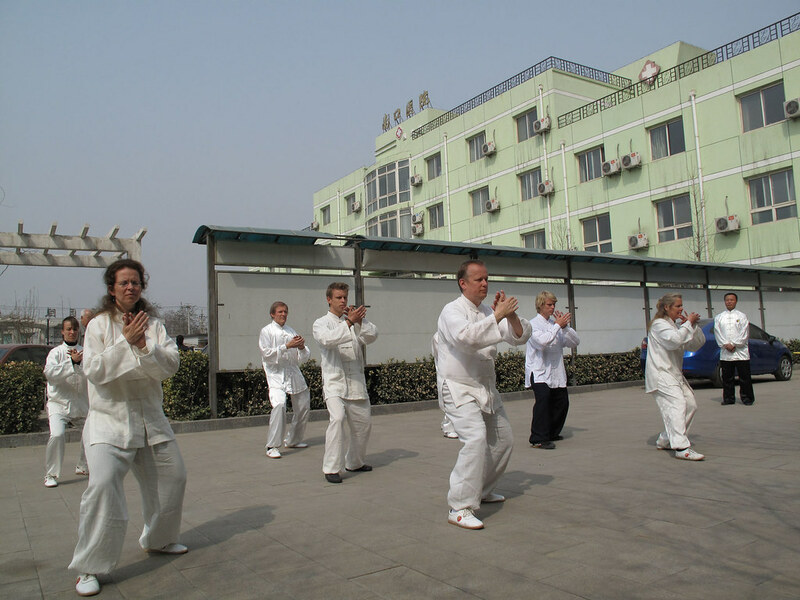 My last shots from our trip to China was from our visit to a hospital at the outskirts of Beijing – not far from the Great Wall of China. 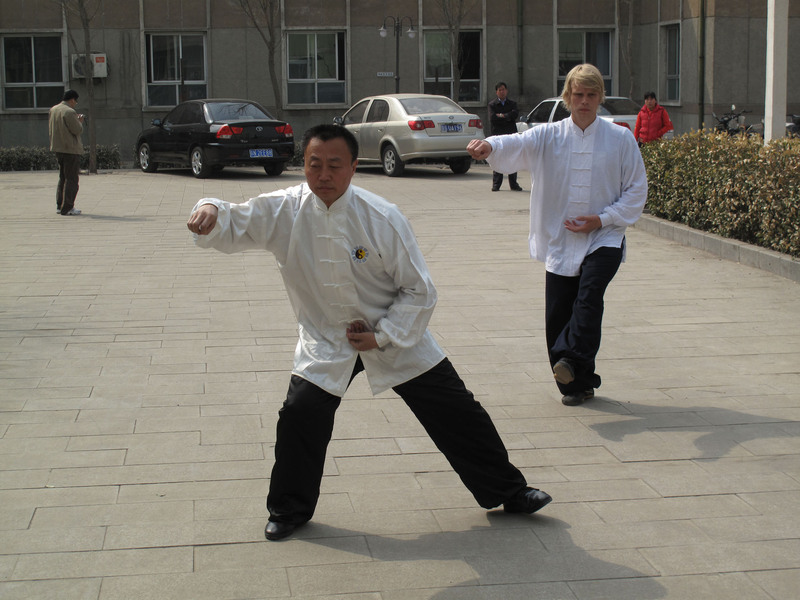 The director of the hospital Dr. Chen is also a master of Chen style Taiji and he made a profound impression on us when we visited him in 2008. Bjarte Hiley studied with him for a few months before he went to Wudang and we wanted to pay our respects before returning to Norway. Dr. Chen took us on a tour of the hospital and showed us how they use both modern western medicine and traditional Chinese medicine. 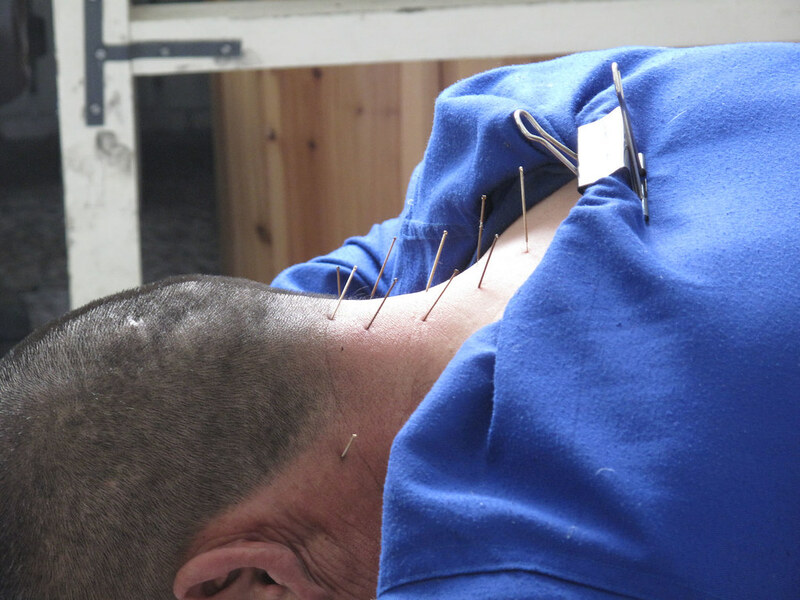 He said that Chinese medicine often is superior in the treatment of chronic diseases. Modern medicine has saved many lives and improved the quality of life for many people, but the traditional medicine is still an important part of the treatment administered at the hospital.